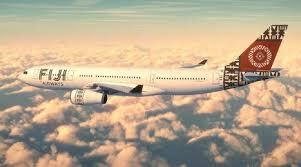 FIJI Airways has launched a unique campaign, planning to wed five New Zealand couples in the air on August 7. Fiji Airways spokesperson Shane Hussein said the competition was part of the celebration of Fiji Airways launch last month. “We set out to get New Zealanders excited about Fiji Airways, our new brand, new aircraft, and ultimately Fiji as a great wedding and honeymoon destination in a different way,” Mr Hussein said.